Multi-grooved surface with smooth under-side. 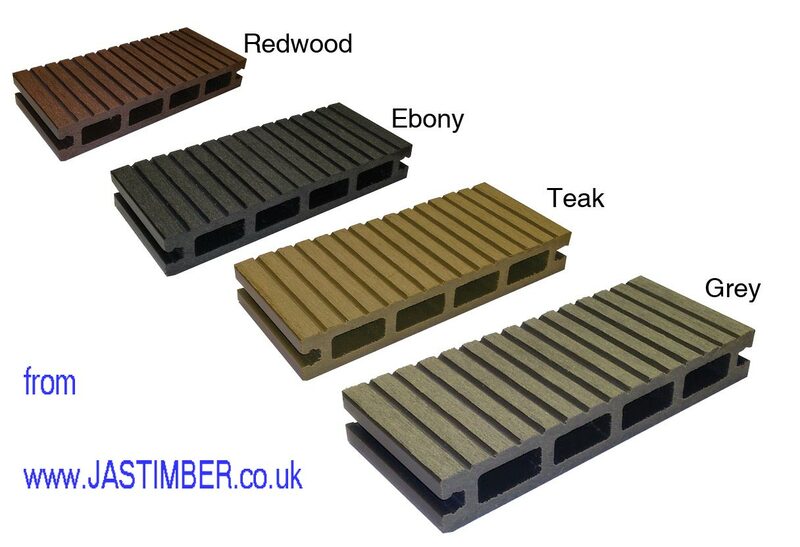 For Commercial or Residential decking projects - The Eco-friendly Decking. - Available in Four colours: Ebony - Red Hardwood - Teak - Grey. - Wood Plastic Composite Hardwood Decking. - 100% FSC Eucalyptus Hardwood Timber combined with recycled polyethelene. - Advanced below surface fixings. - Barefoot friendly - Anti Slip. - Low maintenance - no sanding, varnishing, painting or staining is required - Will not rot.